Work station: HQ – Dar es Salaam, with travels to the field and internationally as required. Lead women rights works of the country program as per the direction of the the organization’s Country Strategic Paper (CSP) and coordinate and oversee of operations at district based Local Rights Programs (LRPs). Attend to official banking functions such as depositing cash, sending bank transfers instructions, collection of bank statements and cheque books. Facilitate visa and permit processes for staff, board and visitors. Work station: HQ – Dar es Salaam. Maintain foreign exchange rates movements on a regular basis and support in track, update and ensure other funds remitted / transferred in favour of the Country Program are duly documented and posted into the ledger. Closing date: 04th September 2018 at 14.00 hrs. 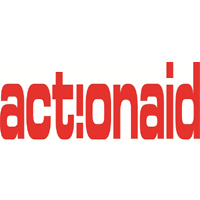 Please clearly indicate “Application for ActionAid Tanzania Women Rights & LRP Oversight Manager or Accountant or Operation Assistant” in your email subject. NB: Whilst all applications received will be assessed strictly on their individual merits, we regret that we can only respond to shortlisted candidates.